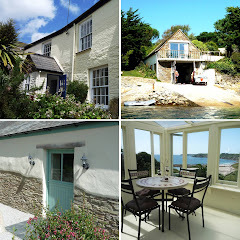 For those seeking a last minute deal for two, Cornwall’s Cottages have a range of idyllic self-catering properties available throughout the county. Set in the magical hamlet of Port Navas is Nancenoy, a terraced reverse level barn conversion with wonderful views of the creek towards the Helford River and the famous Duchy Oyster Farm. There is an open plan kitchen/living room with exposed stone walls and balcony on the top floor and a bathroom, double bedroom and access to a sheltered cobbled yard on the ground floor. Details £629 for a week with availability from the 19th August. 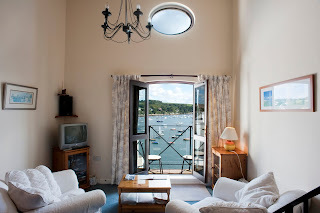 Swallows is an apartment located close to the attractions in Falmouth with fabulous views of the harbour and the historical “Packet Quays.” The sitting room/dining room has French doors opening onto a Juliet balcony – the perfect place to watch the wonderful seascape – and there are views from the mezzanine bedroom. The kitchen is fully equipped and there is parking. Details £679 for a week with availability from the 13th and 20th August. As the name suggests, this cottage is located on the only working vineyard in the heart of the Roseland Peninsula. Surrounded by beautiful countryside in an idyllic position but not far from attractions, footpaths and beaches, Vineyard Cottage has a delightful ground level outside area and a first floor decked area from which to enjoy the views, as well as a substantial first floor living space offering considerable space to entertain friends. Details £699 for a week with availability from the 20th August. Located in an historic building on the former site of the Lady Chapel where locals worshipped prior to Henry VIII’s establishment of the Church of England, Barolo is a spacious and beautifully furnished apartment in St Mawes. Combining comfortable accommodation - open plan living space/kitchen/dining area and separate double bedroom - with a quiet but convenient location in the heart of the village close to the harbour, this property is the perfect place to unwind or join the vibrant St Mawes community. Details £495 for a week with availability from the 20th August and 27th August. For more information please visit www.cornwallscottages.co.uk or call 01872 264441.